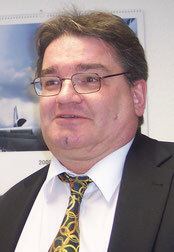 Dieter Haltmayer (81) of mid-sized forwarding agent Quick Cargo Service (QCS) has decided that for age reasons he has given up his post as Chairman of the Interest Group Air Freight (IGLU) after holding this post for 16 long years. 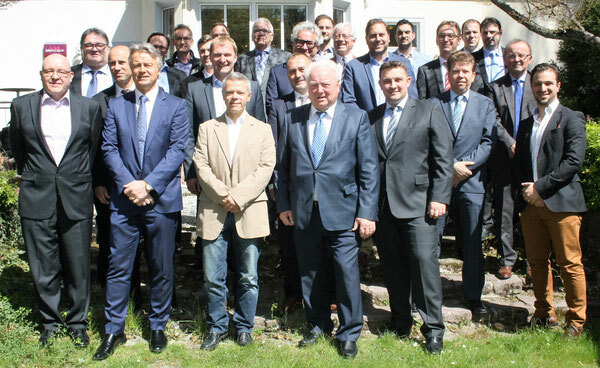 As successor of the doyen of the family-run forwarders in Germany, the alliance members elected Bernhard Stock, Air Freight Director of EMO-Trans. 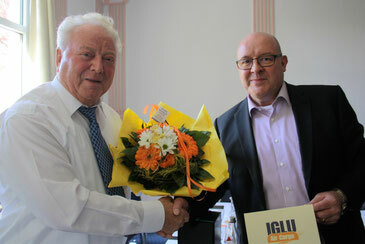 No, Dieter shed no tears while announcing his retirement before the representatives of the 23 IGLU members. Instead, he was in an excellent mood last Thursday at the group’s gathering in FRA, knowing well that generation changes are unavoidable and are healthy for securing the future of any entity. It was mainly due to his entrepreneurial spirit and farsighted thinking that IGLU owes its existence. Back in 2000, when the new century had just begun, he and some companions came together to discuss smart ways of consolidating cargo shipments on major trade lanes and knowing that price fixing tricks could cost them not only a fortune but prison terms if caught by competition watchdogs. So they came up with the sparkling idea of founding an independent company, recommending all members to bring in their air cargo on certain international trade lanes for consolidating the shipments and turn mass into profit by achieving better rates. This not by force, but on voluntary basis. 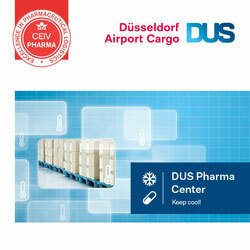 The initiative of bundling air freight was based on a double-pronged strategy. At first, it was an act of defense of small and mid-sized forwarding agents in their attempt to avoid being pushed aside by the heavyweights of the industry. 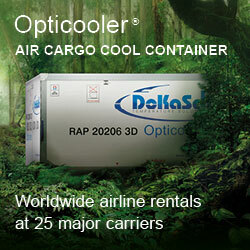 These were offered better rates by the carriers due to the high tonnage each of the big players committed to. Secondly, the IGLU idea became increasingly charming because of financial benefits for all group members by consolidating their individual loads on trunk routes like Frankfurt-Hong Kong or Frankfurt-Shanghai. So step by step the concept gained ground with many carriers rewarding IGLU better rates if the group guaranteed certain volumes on selected and high frequented routes. It was simple as that! Hence, the Dieter-born market initiative became increasingly attractive making IGLU a respected partner for many carriers. "In the early years of our existence we felt being treated like the fifth wheel on a wagon, particularly by our national carrier Lufthansa. They frequently denied us similar pricing options which they conceded to the big boys," recalls Dieter with a smile on his lips. The airline’s lack of interest ended when Florian Pfaff, the former Head of Air Freight Germany at LH Cargo, stepped into the arena to set aside existing barriers between his company and the consolidator. Meanwhile, LHC is IGLU's number three by volumes transported per year, only surpassed by Qatar Cargo and Etihad Cargo. "It was quite a struggle, but it paid off. Today, LHC treats us as wanted partner,” remarked Dieter in his overview. It was his successor Bernhard Stock who made it clear to IGLU’s members that not a single U.S. carrier is among the top ten airlines the consolidator is doing business with. “We are particularly strong on major Asian trade lanes but very weak on transatlantic routes,” Bernhard said. To change this, a project group consisting of EMO-Trans, QCS and some other IGLU members will sit together and evaluate North and Latin American routes that might be attractive for consolidations. This could be transports from Frankfurt to Chicago, New York, Atlanta and Los Angeles but also Mexico City or Santiago de Chile. The IGLU annual meeting ended with resounding applause, when Dieter Haltmayer was unanimously appointed to an honorary member of IGLU. We wish Dieter Haltmayer many restful days in the future and are sure that he will still keep an open eye on IGLU’s future development.